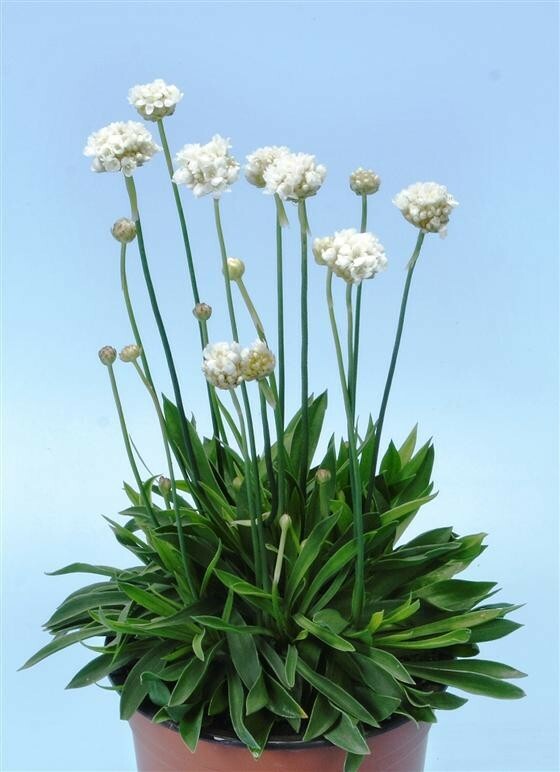 This special Armeria has larger, longer-lasting flowers than the more better known Armeria maritima varieties, being a larger more robust plant. 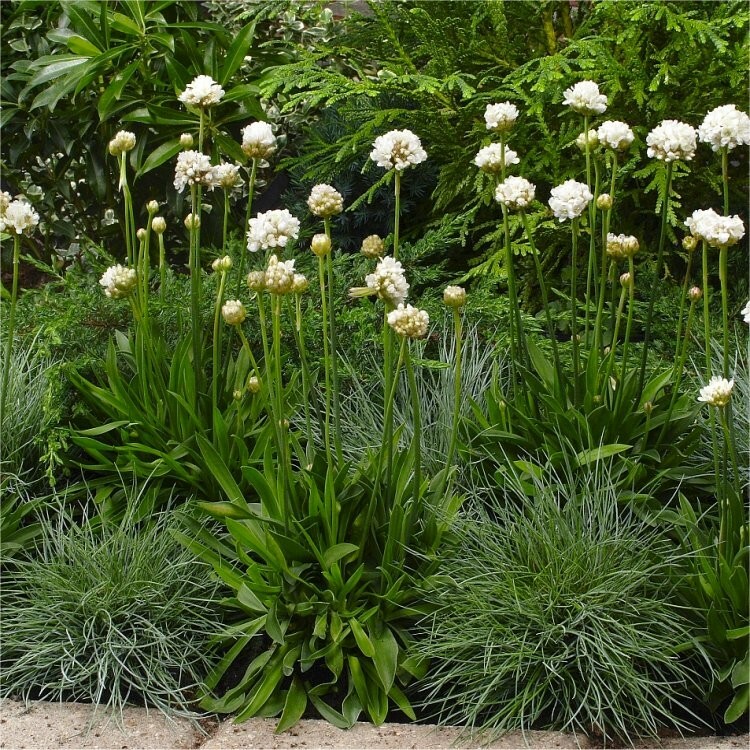 Also known as Thrift, Armeria is a low-maintenance plant and always a pleasure to see in Spring as it blooms early, and then continually for a long period. These evergreen "Ballerina" plants are covered with stems that carry inch pompons of pure white. 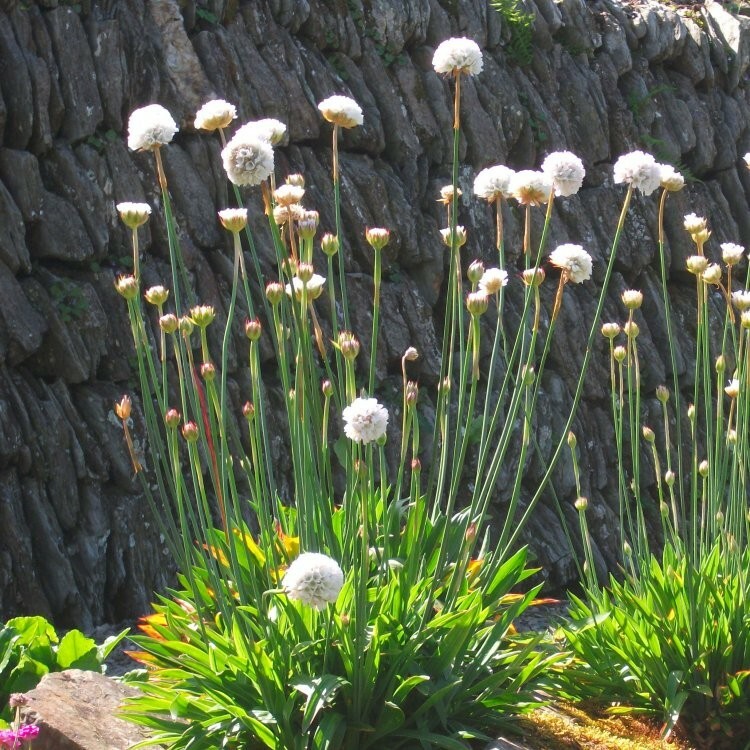 They can even be used as fresh or dried cut-flowers, dead heading will promote more continual blooming all summer. Compact and very uniform, it's a good choice for edging as well as the front of the border. Evergreen and adaptable. Supplied in approx 1 litre containers full of buds and flowers in season.